But today we’re not talking about youth lock-ins with the church Wii…Pastor SouZy of God Squad Church shares how he went from a suit-and-tie associate pastor to stumbling upon the first online church for gamers. In this video, you’ll see how God can use any platform to spread the Gospel, as well as how to tailor your services, tools, and culture to the people you’re trying to reach. 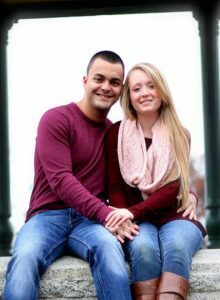 Reverend Matthew Souza grew up spending most of his time playing video games. After graduating from Northpoint Bible College he decided he wanted to use his love for video game to reach gamers all over the world. In December of 2014 he began broadcasting on a website called twitch.tv where people come watch him play video games. While they watch they get an opportunity to hear a message of God’s love for gamers. Since then Pastor SouZy has had the opportunity to share the Gospel with over 350,000 gamers. Through his daily video game broadcast has the privilege to minister to over 4,500 gamers weekly and continue to teach God’s Word to them and watch God move in their lives. In March of 2016 Pastor SouZy began his journey as the lead Pastor of God Squad Church, the world’s first gamer church with a vision of leading gamers from Virtual life to Eternal life. 13:03: How does someone stay financially supported when streaming full-time? The church is no longer confined to four walls on a Sunday morning. With new platforms to host your message appearing every year, there is a place for you to reach the people you yearn to serve. God Squad Church and Pastor SouZy’s video game ministry is proof of that. You no longer need to copy or fit into what other people are doing. You now have the potential to use your God given creativity to do something the world has never seen before. Who is your church equipped to serve? Find where they hang out, and go minister there…even if it’s online. Want to add something? Leave a comment and let’s talk about it. Dave: Did you know that there is a new and relatively untapped mission field out there that very few people are thinking about? That’s what we’re going to be talking about it today. Dave: Hey guys, welcome to another episode of the thrilling, the exciting, the adventurous church media guys show. My name is Dave Curlee and if we’ve not met, I am the founder of ChurchTrainingAcademy.com which is a place where you and I and other folks in media and ministry come together to learn how to use and exploit media, technology, things like that and take the gospel to the world. With me, As always is my intrepid cohost, Mr Justin Nava. Hey Bud! Justin: What’s going on Dave? Someday I have to look up what the word intrepid means cause you might be under handing me. You might, you might be, giving me a slight there and I don’t know what you’re talking about, but I have to look that up later because right now I want to give a shout out to Ryan, Adam, Jordan, James, all you guys. Chris, I’m sure there’s more that I’m missing that haven’t spoke up in the live chat yet. Thank you guys for watching live. you guys are going to influence where we take the show and the things we talk about, we have a couple of points we want to talk about, but we’ll also answer your questions. So thank you guys for watching the live stream Fridays at 11:15 if you’re interested in joining the conversation. Dave: Yes, thank you guys. We are glad you’re here. We love having you. those of you that are watching, this is the live taping of our, of our show, the church media guy show. So you guys are our audience. So if you have questions or thoughts or comments or, or snide remarks, then be sure to leave them in the chat. Justin: Today. on the church media guys show. I am interviewing Matt Sousa who spends most of his time playing video games ever since he was growing up. He started in December, 2014 broadcasting on a website called twitch.tv, which we’ll talk about if you’ve never heard of it. And through his video game broadcast, he has the privilege to minister to over 4,500 gamers every week to continue to teach them God’s word and watch God move in their lives. And then in March, 2016 Pastor SouZy or Matt Souza began his journey as lead pastor of GodSquad Church, the world’s first gamer church with a vision of leading gamers from virtual life to eternal life. Pastor SouZy, I hope you don’t mind if I call you pastor SouZy. Pastor SouZy: No, not at all. So most people, call me. Justin: Welcome to the show and they say imitation is the highest form of flattery. So if I may say, welcome my friend! Pastor SouZy: That’s so great. That’s so good. I’m doing amazing man. Honestly, Justin, it’s an, it’s an honor to be here. Appreciate you guys having me on the show with you. Hopefully it’ll be a great time. I’d love to encourage you and your community as well. Thanks for having me. Pastor SouZy: It was a terrific man. I almost thought I was watching my own broadcast at home. Justin: Pastor SouZy, Matt, you have an incredible story and I was actually, I kinda discovered twitch.TV earlier this year, Dave’s kind of on and off twitch since before when it was justin.tv, I believe it was when it was long time ago. But I discovered you because I was just going through twitch and just looking for something. I started because a guy that I follow for one mobile game I play and I was introduced to the platform. I said, well, what else is going on? I came across a channel called Pastor SouZy and I thought that was interesting. I turned it on and you were actually working out. It wasn’t too long ago then. And, yeah, it was maybe a month or two ago and maybe three months, I don’t know. And I just fell in love with watching you communicate with your audience, kind of give some tips and prayers and just welcoming everyone. And then I figured out that you’re actually not a workout stream or you’re a video game stream. Pastor SouZy: That’s my thing, man. Justin: Tell me, first of all, for anyone that doesn’t know, how would you describe the twitch.tv platform? Pastor SouZy: Why aren’t they just going off and playing video games themselves? Why would anyone watch someone else play a game? And it’s such a funny question because when I hear that as a Gamer, I asked myself, why does so many people sit down and watch other people play football? And it’s because they love and joined the content. They’re fascinated by the game. But what is so interesting about twitch.tv is you’re not just watching live content. You’re able to interact by typing in the streamer and you can talk with them by typing in the chat and the streamers able to respond to you verbally. And it really is like watching a live video content experience. And people really love it and it’s a great way to connect with people around the world. Justin: Fantastic. And, yeah, that’s what I love about it is because even more than like facebook or instagram live, the group communication, the audience back and forth is really baked in to twitch. Yeah. So much so that there’s even twitch bots that kind of do some of the conversing and the linking for you. So they respond and they help. And then, and then you also have moderators. Even a small streamer. I follow one guy that only has about 80 streamers on a typical weeknight episode, but he’s got two moderators because, because they care about what he’s doing. Justin: And tell me how you went from there to here. Pastor SouZy: A lot of times there was an identity issue really kind of developing my heart that I would ask myself, what if our church knew what I did when I go home? What if they knew that behind closed doors I’m playing video games. Are people gonna think I’m immature and are they not going to view me the same? And it became, honestly for me, it really an identity issue. And God began to work in my heart, helped me realize that my identity is not found in the fact that I play video games. It’s fun in the fact that I’m a child of God. He created me the way that I am giving my own unique gifts, talents, and abilities to be able to serve and love people and honor him around me. And as I begin to embrace that side of myself, I just wanted to get curious about, okay, how can I connect with other gamers? Pastor SouZy: Because gamers may sit in chairs like these by themselves all day long and begin to realize how can I connect with them. And that was when I found twitch.tv to be… googling like online gaming communities. And twitch was one of the top ones. And I clicked on it. As I mentioned earlier, I was confused as to what it was. And when I realized I was watching a streamer by the name of Summit1G with 25,000 people watching him live. And when I saw him answer their question, I was completely blown away. And I just asked myself, can you imagine if he was sharing the gospel with all of these people using his platform of influence to excel and build the Kingdom of God? And I said, hey man, somebody got to try this. Somebody’s got to give this thing a shot. And to my knowledge at the time, nobody, nobody was doing it. Pastor SouZy: So I went out and bought just the minimum equipment that I needed. I had an xbox one and I bought just a little camera. Everything was super low quality, didn’t even have a computer, but it allowed me to go live. And I did. It just started going on twitch.tv. And while I was playing halo and you know, playing the game, just sharing the Gospel and people would come in and read Bible stories to them and people were dialoguing and just having great conversation. And people always ask, you know, how do you build a community? And honestly it was just one person at a time. And here we are almost four years later having the privilege of sharing the gospel with over 350,000 gamers from every single continent on the planet. But really it all just began out of a question. I believe that anything that’s innovative, that’s ever done normally as a solution to a problem and the solution and the problem that I was finding was that there was a huge disconnect between the church and gamers. Pastor SouZy: Although I do not believe that there is a disconnect in God’s heart for gamers. God loves gamers and we’ve got to ask ourselves the questions, how are we going to get the gospel to people who don’t leave their house? For people to sit home all day? They’re watching other people on twitch. Jesus calls us to go to where people are at and minister to them and as soon as I found out about twitch, I said, this has gotta be the way and to God be the glory. I really believe that it is. Justin: That’s, that’s amazing. When you started on twitch, you were still an in person pastor, let’s call it, correct? Yes. When did that evolve into you becoming a full time pastor? I would call a full time pastor on, on twitch with your church. Pastor SouZy: My wife and I were in a church in Connecticut for a few years and all along my pastor was aware of what we’re doing and as it begins to grow and grow, really the whole church was aware that, you know, one of our pastors love to play video games and thank God that most of them were, you know, they were okay with it. They understood the vision and my pastor, super supportive pastor, Chris Willis changed my life and I’m super grateful for him. He’d give me opportunities to share on a Sunday morning about what I was doing to help the church understand. And it reached a point where even my pastor said that everyone was aware that eventually this transition was going to happen. And because it was just growing so fast, growing so large and they realized that it reached a point where I was going to need my full time attention and it was January 1st of 2016 where I made that first decision, that step of faith to be hones, the finances weren’t there logistically according to our site. Pastor SouZy: It didn’t make any sense, but I knew that God was calling us to take a step of faith. And January 1st is when I decided to go full time in two months later is when we actually started the church live on stream on March 24 2016 and it’s been an incredible venture ever since. Yeah. Justin: for the people that don’t know, how do you become financially supported on twitch is they may be thinking like, well that there’s a gateway, right? There’s payment or plan or something, but it’s not like that. How does, how can your supporters or your audience support your channel and your ministry? Pastor SouZy: So there’s actually a few different ways. When I first started, because twitch, like you said, twitch has evolved and changed and especially the financial aspect of twitch has evolved as well. So when I first started streaming, I considered myself to be like a gamer missionary and I did your typical traveling around seeking funds and, and to be honest, I actually found that to be very unsuccessful. Pastor SouZy: It was a concept and I really don’t think the world was ready for to it be honest. And a lot of people were, you know, they were, not jumping on board. And I decided to really take my financial fundraising just straight into the virtual world and just going online and, and fundraise that way. While streaming, sharing the vision and ask people to support and they’re really, how I really got started was a website called patreon.com where people could support monthly, but now that twitch has evolved, there’s something called the subscribe button where people can actually, it’s completely voluntary. People can watch for free if they want, but for $4.99 people can decide to support their favorite streamer on a reoccurring monthly basis. There’s actually also a deal with Amazon because Amazon owns twitch, that if you are a twitch viewer and also an Amazon prime member, you can connect your Amazon account, your twitch account, and you can support the streamer for $4.99 a month absolutely for free as a part of your twitch… As a part of your Amazon benefit. Pastor SouZy: It supports for free at no extra cost to you, but the most interesting thing about how streamers are financially supported is that when people are watching, they can just at any moment, they can just choose to donate, send in what some people might call it a tip or just like a, Hey, thank you for streaming and I’ve been having ton of fun watching and honestly that is how I make my living between the $4.99 subscriptions and people just being generous and being like, Hey, we’d love to just send a donation in. Here’s $5 have been watching you for an hour. It’s been great time. Appreciate it. And really that’s how my wife and I have financially supported ourselves in the past few years. It can be scary at times because you’re always living in the unknown. But God has been faithful to us and we have never, never miss any of our payments and our personal lives since God’s called us to do this. So it’s been incredible venture. Justin: Yeah, it’s something that’s so unique. I just don’t know. I’ve even gone on twitch and I think I found a couple other Christian streamers, but no one doing it at the scale of what you’re doing. So much so that you even have an online church now. And this might be the last kind of the story question that I asked you, cause I just want to hear all of this background that, as I’ve watched you stream, I get bits and pieces of it. I’m just a little by little all in one chunk here. tell me about GodSquad Church. Pastor SouZy: So GodSquad church again really started out of a similar vision of why I started streaming in the first place. But really my stream started up, it’s very much just picturing it to be very evangelistic, people coming in and sharing the gospel. But then honestly what I didn’t expect was that there was a, it was a community being built. People were giving their hearts to follow Christ and then they would come back again the next day and it almost caught me off guard that people were returning and they were like, I just started reading the Bible. Can you answer this question for me? Like what does this verse mean? And I was beginning to realize that we were building a small group of people, that we were discipling and training and teaching God’s word that it almost became obvious that, hey, you know what? We’ve got a community of people. Pastor SouZy: They may not live in the same place, but we’re sharing God’s word with them. People are accepting Christ and they’re beginning to be discipled. What if we started a church, this kind of sounds like a church where people are coming. They’re fellowshipping playing games together, doing life together and learning God’s word, and we just had the vision. What if we created a church for gamers all over the world where people could come on and on a Saturday night, twitch.tv/GodSquadChurch, get live musical worship, have an opportunity to hear God’s word in a way that makes it relevant to them. We use video game analogies and it really almost, it was almost like an a beautiful accident to where we were building a community where people are learning God’s word. And we almost said this kind of, this kind of is a church, what if we just went all in and really develop the church? Pastor SouZy: And that was a little over two years ago. And really people are all around the world. People are being discipled, we have small group experiences, we have pastors that people can reach out to. We have leaders, we have really, we’ve done our best to provide everything in an online experience as a church that people can get physically in person. And even just this past, a few weeks ago, in the middle of August, we, we did our first water baptisms. People flew in from around the world and we water baptizez them in person, which was also live on stream. And it was honestly, it was another, it was a solution to a problem. And it was a great, beautiful accident to God be the glory. We’re a church today and it’s been absolutely incredible. Justin: And one big rebuttal or concern with online churches is, typically you watch maybe like Joel Olsteen on tv in the morning and we’d go off for the rest of your week or you watch a sermon online and then there’s nothing else in the middle of the week. Yeah, we have social media, but again, this is the first first twitch streamer that I’ve had. So I’m asking you some softball questions here. Our audience may not be aware. You use a tool called Discord and I’m a member of your channel. Tell me about that and how you use that to connect throughout the week. Pastor SouZy: So Discord is an incredible program and I believe that without it, I would not be able to consider what we do an actual church because you’re right, just because you watch a sermon doesn’t mean that you’re part of the community. It doesn’t mean that you’re being discipled just watching it online sermon. And what Discord is, it’s a live 24/7 app that you can either get on your phone or on your computer and it is a both a text and a voice chatting program that people from anywhere and everywhere at any given time can jump into our Discord. They can begin to talk to the community through text chatting or they can jump into a voice room and just kind of hang out. And in our Discord we’ve got, we’ve got a place where people can write their prayer requests and we have a prayer team that goes every single week and prays through all those things. Pastor SouZy: They have a place where people can write their testimonies and answered prayers. Daily devotionals are put in where people are given, you know, different things that they can grow in their faith every day. So many different resources we’ve made available for people. But really the biggest part of Discord is it gives people an opportunity to be community. I believe this principle so strongly that as a church we’re not just simply building a crowd. We are building a community, which means we’re doing life together. Acts Two 46 says that the people continued to meet together daily in the temple courts. I believe there, there are some churches today that people are just showing up hearing a sermon on Sunday and as soon as the pastor says, amen, they are running out as fast as they possibly can. They have no desire to be together with the people. Speaker 2: They just want to hear a good message and to see some cool lights here, some great worship, which I have no problem with any of that, but they have no desire to be with one another. And the Discord, the privilege and the benefit it has is that it’s open 24 seven this might be farfetched for people in a normal church setting, which I love the local church, but by no means am I tearing it down. I believe in the local church a hundred percent we’re beginning to start fundraising for our own local physical location. So no beans tearing that at all. I love it. But the benefit that we do have of being aligned is that a 10 o’clock at night people are putting their kids to bed, jumping in the Discord and doing life together with people in our church and the Discord gives people an opportunity to really connect, pray together. Pastor SouZy: We have small group experiences that are going throughout the week as mentioned, so it’s not just a one time experience. We have game events where people are just going out and having fun together and the Discord really gives people to understand that church is not just an event you go to. It’s a community of people learn to love God, love one another in throughout the week doing life together, which without the Discord for us wouldn’t be possible. Justin: Yeah, it’s all about using the tools. I mean that’s, that’s the big idea here of what God’s doing in your life is being the pilgrim that goes out and looks at these new tools and say, how can I use this for the kingdom? Do you have a word of encouragement for anyone that sees somewhere, there’s just a bunch of darkness and we are sometimes our instinct is, well that’s obviously not for us. So come over here, come to where we are and come listen to us. Do you have any encouragement for those that might be like see the need for light in the darkness on these different platforms, but are hesitant or maybe the church doesn’t want to fund it? What would you say to them? Pastor SouZy: I would say I believe that’s what Jesus did. I mean, you think about, I know people look at all these platforms. People look at facebook, people look at twitch, which at times can be a very toxic website and they say, hey, that’s too messy. You know, we don’t want to be involved in that. And the reality is what if God had looked down at planet earth. And said it’s too messy. It’s too far fetched. It’s got too many problems. Let’s not go there. Let’s bring people to where we are. Pastor SouZy: The reality is that Jesus had to step into the mess. The Bible says that he who had no sin became sin. So we could become the righteousness of God. He stepped down to where we are. Why? Because it was impossible for us to go to where he was. So I wanna encourage you, any of you that are looking to maybe step into a platform that maybe no one else is doing, it’s toxic. It’s kind of this darkness, all these bad things. The reality is that it is never going to change on its own. We are full of the Holy Spirit, empowered by God to go and to make a difference. But if someone’s not willing to step up and be bold and go to those places, it’s not going to change itself. And actually it’s only begun to imitate this world. Pastor SouZy: but Jesus has called us to be the light in that darkness and make a difference in the lives around us. Pastor SouZy: Amen. so you actually streamed about a couple hours before we started recording this. And I just wrote down a few things because, you’re playing video games and I believe it’s written somewhere on your website or your bio, you call it sharing the gospel while shooting you in the face is that right? Pastor SouZy: (LOL) Yeah we do that at times. Correct. Justin: Yet now you don’t, you don’t play the graphic games. I know you, you say, you know, avoid games like grand theft auto and the incredibly graphic gory games. but you know, the cartoonish games Fortnite, halo, world of warcraft. I know you play a lot of, a lot of world of warcraft, but you know, when I just tuned into that, I just kind of wrote down some of the things that you do cause you’re not just shooting games and saying, look guys, you see the latest avengers movie, which…hey, that’s not a very good impression of you at all. Justin: But what you did was, first of all, you welcomed everyone by name. I mean, I just kind of went into twitch and I start working. I listened in the background and I just hear, welcome jNetboss. And I’m like, oh, hey, yeah, that’s my username on twitch. If you want to come watch with me or something. That’s cool. You’re talking to me. People are, you know, conversing back and forth. What are you doing about the weather? You know, I pray for the people in North Carolina that are going to get a hit bad. And someone actually shared a video of a twitch streamer that, his house was put in danger by someone driving by and you not only like you just said, okay, stop the stream right now. We’re going to pray for this guy. Justin: And this is a guy that, you know, he can be viewed as one of the dark parts of twitch because he does use adult language, vulgar language. and you know, he may say some inappropriate things, but you still stopped in the middle of the stream and said we’re going to pray for this guy. and everyone prayed with you while you’re streaming, you’re also sharing, biblical truths. I feel bad because I, well I don’t feel bad, but I kind of do because I remember some of the things that you say when you’re playing Fortnite more than I remember the sermon just two days ago. I turned it on and I’m, I’m doing dishes and you share things about Fortnite seasons and we’re going into season five and we have seasons of our lives. Justin: And that stuck with me honestly a lot more than when I was sitting in a pew listening to our preacher. I don’t want to get in trouble for that, but that’s the power of communicating in these daily lives. And then you also shared an I Am Second video today. Like we would share a video in service, you know, to preempt the sermon or to make an illustration point. You just said, you know, let’s watch this video and be encouraged by this. Yeah, you commented on it, but I mean you had kind of, while you’re playing this video game, you had prayer, you had biblical truths, you shared a video, you are welcoming, engaging your community. I mean this wasn’t a GodSquad service, but I mean this had many of the elements that you would look for in the service and a church. So you kind of mentioned, you know, when you’re starting build your audience and you said that, you know, one person at a time… Me and Dave like to say, how do you eat an elephant? One bite at a time. Pastor SouZy: That’s right. That’s right. Justin: I’ve got this big old goal in front of you and I think we all have dreams when we start our facebook lives, even just streaming service of hundreds of people watching and we kind of get disgruntled when it’s like, man, we’ve been doing this for a year and we only have seven streamers. you know, but you know, it’s one person at a time. I think a big key to that, and let me actually get into some questions. I think that’ll be hugely valuable. Building up the audience one person at a time. But I think a big key of that is engagement because when you engage with your audience, they want to come back because they actually feel a part of it. So for anyone streaming, I think you can do this during live streaming service or if the pastor goes live, we’ll talk about that in a second. What do you like to do to engage with your, with your streamers? Pastor SouZy: So when I’m live, I find it absolutely imperative to connect with the people that are watching. John Maxwell says that many communicate, but few connect. There are so many live services, so many people that are streaming on twitch and different platforms and they’re communicating, they are talking into a microphone, they are looking into a camera. But just because they’re communicating to their people does not mean that they’re connecting with their people. I find it absolutely imperative to do my best to connect with the people that are watching. So for example, you said Justin, that I’m welcoming people, calling them out by name, do my best to ask questions and get to know them on a personal, intimate level so that they don’t just think that they’re just like a number count below my screen. But they are a real person that matters and I want to impart value to people and I believe that it can be done through so many ways. Pastor SouZy: One, when I’m streaming like I’m doing right now, I want to look right in that camera because it’s the closest thing that we can get to. Having the eye to eye face to face conversation, you matter enough that I would pause and take the time to talk to you. I do my best to remember their names, do my best to ask them personal questions about their lives. Hey, so where are you from? I asked all the time, where are you from? What Games do you play? Cause where you’re from gives me a great place to either say, Hey, I live nearby or that’s great. I’ve been there before. Went on a trip there, conversations flowing or what games do you play? We can get some instant common, you know, commonalities of games we play or don’t play things and heard about that. Speaker 5: and that Jesus Christ died on the cross to save and to treat people. That value really builds a deep connection. It gives people a reason to want to come back and really puts down their barriers, which then opens up the doors for you to minister to them. Justin: Absolutely. It’s very, very easy to welcome people on stream. I, I liked the idea, you know, not my own churches livestream that we do the live stream service. I always ask, where are you watching from? Right. And it’s like, Hey, you know, people would be like, I’m at my mom’s house or I’m on the way back from women’s conference and just kind of get some participation going. And yeah, asking questions like that. You’re looking at the camera thing. You know, I haven’t said this in awhile. I don’t think I’ve shared it since I’ve been with church training academy. Justin: Don’t be afraid to, like when you’re making church announcements or preaching, you know, look at the camera. Look right into it. And if we look right into and say, hey, thanks for watching online, welcome to the church, welcome online viewers, or look at the, you know, you say some of the people over here and maybe this is some of the people and some of the people watching at home may think this. Let me answer your question right now because there is an answer, right? You know, just addressing the people online, it can make them feel, feel welcome. let me ask you one more question here. Church Training Academy. We started, we kind of started with the four. What have one of our pillars is the four ways to live stream, have, you know, indie mode, which is basically, or excuse me, selfie mode, which is just using your phone. Justin: Okay guys, what’s going on? You have indie mode, which is where you might get, you know, some, some fancy attachments to your phone, like a stabilizer or a mic and you’re kind of turning your phone into a, into a professional camera. And then you have desktop mode where you might use a Webcam or a computer connected to your computer. I’ll just give you a camera connected to your computer. And then you have broadcast mode, which is really what you and Dave, who’s unfortunately not here, but y’all do with maybe a tricaster or switchers and all the different things. but regardless of what you’re using, I think a lot of us start with, we have to do broadcast mode. We need to have $20,000 of equipment… But you didn’t start that way. You started with an xbox and a little webcam. Justin: So when we start live streaming services or when we look at live streaming, I think a lot of the times we get asked how do I best live stream I service. But it doesn’t have to be like that. You get just as much engagement or playing video games, doing workouts, you get just as much they need to do at GodSquad Church, I believe. And a, so if any leaders or pastors or volunteers want to do live streaming in addition to the church service, what are some of the, what would you say to that? Like what can we do? Where do we get our ideas from? How do we start, maybe doing a Bible study in the middle of the week or even streaming our own video games or building a stage, does that stuff work? What would you say to that? Pastor SouZy: I would say this with one, before we even start talking about technology or ideas of what to broadcast. I believe it’s not as important to focus on how you’re going to broadcast rather than focused on why we’re going to broadcast and the format in which we’re broadcasting. Reality is you could have the nicest cameras, can have the nicest microphones, but if the content isn’t there, if the interaction isn’t there, then I believe it’d be better for you to have content. But streaming from an iphone than having no content streaming from a $25,000 camera. If you’re not interacting with the people where they’re feeling connected people, I mean if people wanted to watch it felt like a prerecorded video, they can hop on youtube or they could turn on their TV and having interaction with, have an experience where they feel like they can’t actually interact with. And I would say that if you’re going to live stream in any way, do it to the best of your ability to involve the people that are involved. Otherwise you might as well not live stream. Pastor SouZy: And you might as well just, you know, posts recorded video, post edit it and then just put it for people to watch. But if you’re going to live stream, I believe that really the sky’s the limit. And I think that people just need to start somewhere. Like you said, Justin, when I first started broadcasting, I didn’t, it wasn’t even a Webcam. It’s a camera that’s built in the xbox and it’s like, it might even be like 13 p, I don’t know. It was awful. Terrible. The audio was terrible. Speaking from my Gamer, a headset microphone. And the reality was the quality of the, the technology was low, but the quality of the content was high. The interaction was there, and I believe that in a normal church setting, there’s so many great things that we can do. I’ve seen one format that I think works really well is, you know, having someone that’s there to mediate the broadcast and they’re sitting down with the pastor post Sunday. Pastor SouZy: So maybe on a Tuesday or a Wednesday where there may be dissecting the sermon a little bit more, where people are able to come in and say, hey, I heard the sermon and I had a question. I had a question. I’d love to be able to ask and dive a little bit deeper into that sermon. What, what could I say? And people are not just watching a prerecorded video, but it’s almost like giving them the opportunity to, in the middle of the sermon, raise their hand, which obviously we know in a normal church setting it’s not really the thing to do, but in a post Sunday experience, live streaming, even if it’s just on a phone, on a tripod with the pastor and someone’s reading the phone saying, hey pastor, we got this person all the way in California or this person who was sitting in a Sunday morning, they would love for you to really just explain this point. Pastor SouZy: You made a little bit deeper. Pastor can do that for us and they’re diving in. People can do, you know, live, you know, experience group, small group, you know, experiences where they’re asking questions from the sermon that are maybe taking it a little bit deeper. They can do q and a’s. Q and a’s are great. So many people in our churches just have so much to learn. And if you really wait for just a 52 weeks out of a year and a sermon to be able to get to the topic that they want to actually learn, it’s going to take forever for spiritual growth because they’re learning things, but maybe not learning the things that they really need to learn for the struggle they’re facing. But q and a’s are great for livestream. Just any kind of opportunity that I think that people can interact back with is incredible, that’s just, that’s, that’s my number one philosophy is giving people an opportunity for interaction. Because if there’s no interaction, it just might as well be a prerecorded video. So the quality, I would encourage just start somewhere. God will bless it. If you’ll be faithful to God, sees that he can trust you with the little, you’ll see that it can trust you with much. It’ll grow anything over time that’s being fed. It will grow. Just turn the camera on, interact with people. And I believe that it will grow in so many different ways that you can do it. Justin: Yeah. I love what you said. Just start finding something that you can interact with, that’s the brilliance of live streaming. I didn’t really realize it till I started watching twitch and just starting to see how much interaction you can do. It’s not just a shout out. It’s not just a welcome. I mean it can be full on dialogue and speaking of dialogue. Dave is here to dialogue, finally coming in. Dave, are you there? Dave: I’m here. Can you guys hear me all right? Speaker 2: I’m loving your setup. You’re looking, looking smooth, my friend. Dave: Thank you. Thank you. Thank you. Justin: He’s got the $10,000 $20,000. I’ve got the USB mic and the Webcam that actually David gave me. Pastor SouZy: Not Everybody starts out like Dave. Dave: All right, well I noticed you’re using an smb seven is that right? Love this microphone. Men. Yes. That’s a, that is a… in the radio stations that I’ve been in and the radio shows I’ve done. That’s right there, The Mic. Yeah. Pastor SouZy: That’s a great statement for that kind of thing. I love it. For Broadcasting, which is what I do. So I love it. It’s a must have. Yeah, it’s fantastic. Okay. Yeah. All right. So what have we covered? Speaker 2: no, no, I, no, I don’t, I do want to do a, a, an abbreviated recording that we can use for the youtube video. Justin: Yeah, we already did that. Dave: Okay, great. That’s wonderful. Then I’ll just let this, let this be y’alls thing. Brilliant. I’ll just edit it and make sure it makes sure it looks and sounds good. Justin: Okay, cool. you got anything else you want to say before we do an outro? Dave: No, I’m, I’m good. Pastor SouZy: I think the only other thing I would say to encourage any of your listeners is understand, do not let fear hold you back. I understand that the unknown is there. You’re wondering what if we spend all this money and what if people don’t come in? Pastor SouZy: Or what if we put in all this energy? Maybe it’s not money you’re spending, but an equally important resource is just your time and energy. What if we’re just on a phone that’s free? But what if people don’t watch? I want to encourage you that even at first, if there’s only a few people that are watching, those are a few people that may have never had another opportunity to be exposed to the Gospel and a church experience if you are not willing to put in that resource. So even if there’s just a few people at first, those few people are worth it. Don’t let the unknown hold you back. The spirit of fear is not of God. And if you believe that God’s calling you to reach people, it’s 2018 and God has given us the tools of which we could do so. So I would encourage you, as I said before, just start. Don’t let the fear hold you back. Don’t let the unknown hold you back because the reality is if you start and it doesn’t work, then you just go back to wasn’t what wasn’t working before. But we can take our time and really experiment, experiment with this new age we’re living in and live streaming. And I would encourage you that no matter what things you feel hold your back, just began. Trust God. And I believe that it’ll take you to new heights. Justin: Pastor SouZy, Matt, thank you so much for your time today. I have a feeling a lot of people are going to want to connect with you after listening and watching to this. Where can we find you? Connect with you and follow you. Pastor SouZy: So a few places. One. If you want to learn a little bit more about our church GodSquad Church, you can head over to www.GodSquadChurch.com you can also check out our weekly live broadcasts, which happen every Saturday, 7:30 PM eastern time, which is twitch.tv/GodSquadChurch. But a lot of what Justin was describing today, my daily broadcast video games, I’d love for you to come hang out with me Monday through Saturday, twitch.tv/pastorsouzy, that’s s o u z y with some daily gameplay encouragement and to hear a lot about God’s word and I think you will be blessed. I’d love to come in and when you do, make sure you say hi in the chat. I’d love to connect you and shout out to you, but those are definitely the best ways to connect with me. Look forward to meet some of you soon. Justin: All right, Matt, Pastor Souzy on twitch. We’ll have all those links down below where we can find you and follow you. Thank you so much for your time today. Pastor SouZy: It’s been an honor being here, man. Thanks so much. Justin: Hey, I had one question for you, Matt. Personal question I think I saw on your website. I haven’t seen many or any, okay. I haven’t seen any online churches do this. You do you have a membership? I thought I saw something about membership classes. Pastor SouZy: Yeah, we do a membership. We actually have a membership role in roster and we actually, we actually just rolled it out. Yeah. Everything. We actually just rolled it out, two months ago. So we just, we just started it. I’m rolling our second round of membership classes the first week of November. So we’re doing, we do some right now it’s a new believers class called tutorial. just like in video games, people learn how to experience games better. Same thing with our faith. And so that tutorial just started up again next week and we asked that most people go through the tutorial and then two weeks after that is the membership class and they can sign up for all those. And we do, we have accountability, we have all this kinds of things. We’ve really done our best and our entire church to be able to offer everything that we believe a local church has on the online experience. Pastor SouZy: And our mission is not at all to replace the local church. I love the local church. We want to build their own physical location. Yeah. To offer something for people. Like for example, we have a guy, perfect examples, name’s Simon from Europe and there are no true gospel preaching churches within like an hour of his house. And he came in two and a half years ago, completely trolling, completely agnostic to not really know what he believed and really just trashing all over us. And obviously now he’s given his heart to the Lord and he’s following Jesus. We are the only opportunity for him to have real a Bible Teaching Church. And that’s why we exist to create a platform for people who can’t get it anywhere else. And so we’ve done our best to make sure if we’re going to have church online, we have to offer everything that is not just cool and hip, but treated the scriptures of how church should function and operate for people that can’t get it anywhere else that they live. Dave: Wow. I’m still flabbergasted, you know, and I’ve been watching, watching him for six months or so off and on. And I’m still flabbergasted that, that this is happening, that his, he’s growing an online church basically through, through his gaming channel, you know, and when I see the chat, when I’m watching his show, I don’t know if you pay attention to the chat or if you’re just watching the game play or just using it as, as a ambient, you know, music or whatever. But when I’m taking a look at some of the, some of the chat and some of the people at various times will be giving him an update on what’s going on in their life. You know, like, I shared Christ with my sister and she got saved and then he, you know, he, he speaks to that as he’s playing spiderman or whatever it is, world of warcraft or something like that. And I’ve seen him like in, in like say, world of Warcraft, go and hide somewhere so no one can mess with him. And then just sit there and stare at the camera and, and counsel somebody, you know, lightly, not, not big heavy one on one and stuff, but, but, you know, start quoting scripture to them and, and working with them for two or three minutes and then go ahead and continue the game as, and I’m just, you talk about an untapped, a mission field. This is huge, dude. Dave: It has to be one of your friends who you’re already engaged with in that world. Just like, just like talking about a marvel movie, you know, to go over,… did you see Black Panther? Yeah, dude, it’s that special thing. There’s not that many of them, right? Not that we know. Justin: You have to find the guy in the corner and you can’t really talk to anyone else about it. So he’s basically reaching out to these people and say, no, you guys can be the core of this church. And a lot of our interview was about Pastor Souzy’s channel. his church channel, GodSquad church. You know, that, that happens on Saturday nights. But the fact that Pastor Souzy has his, I would call it a video game ministry going on throughout the week. Justin: He’s using tools to enhance his ministry, like Discord and, you know, twitch to stream and all that. And he had to, he does have a website. He’s using what’s out there and he’s going where the people are. Right. He didn’t say, we communicate on facebook. They use, he uses Discord, which is like video games, slack, okay. If you know what slack is or Microsoft Teams, Discord is the exact same thing except it’s geared toward video games. And he uses that as his primary way of communicating with his church. it’s, it’s huge. Ryan said this was an awesome interview and it, and it really absolutely was. I’m very thankful we got Pastor Souzy and I know his name is Matt, but I’m just never not going to call him Pastor Souzy. That’s how I know him. And he’s growing. every day. He had, I can’t remember the number exactly. Justin: so I don’t want to misrepresent it, but I remember one time I looked up and I have them on in the background and I looked up and I saw him. and thought, Wow. He’s got that many viewers watching right now on a Thursday at two o’clock. I was, I was impressed. so the people are out there. So the, the question is, does a video game ministry work? Absolutely. Start it in your own church. Right. Just start, just like we used to have board game nights for the city, have a video game night, you know, and yeah, don’t be too concerned if people bring Mortal Kombat, you know, people are going to bring what they like. It’s okay. I know it’s not a great, it’s a kind of a gory game. but that’s what what’s gonna bring people in. Justin: Ryan said it best. I think he said, step out in faith and go where the harvest is. Plenty to harvest with the video game culture. Dave: Yeah. There, there is that the whole idea behind ministry. at least it should be. And if you’re not thinking like this, then as far as I’m concerned you’re thinking wrong, but is to go where the ministry is needed. Right. Don’t, don’t stand on the front steps of your church going all you sinners come in, you know, there’s, them knowing that that’s a place of safety is important. Okay. Dave: Where they can come and they can, you know, get ministered to. That’s extremely important. But that shouldn’t be, you shouldn’t be standing out there flagging down cars as they’re driving by and saying, you’re a sinner, come in here and get saved. That that’s just not it. You go to where they are, that’s a reason that we have mission trips. That’s a reason why we go and help build a church in Uganda. And that’s the reason that, you know, we go and do our work in the Philippines and in Latvia and all these other places is because there is ministry opportunities there. There are people that are clamoring for the Gospel clamoring for friendship, for discipleship, for help in reaching other people for Christ and stuff. So we readily, you know, plunked down $1,500 for air airfare ticket and you know, take a week of our vacation and go over there and you know, help build water wells and stuff like that. The digital space, the, the gaming community is just as fertile. Justin: and let me leave you with these numbers right now. Pastor Susie is live right now on twitch.tv. When you’re done watching live here, you can go watch him. Hundred and two people watching live. Okay. but if I look on twitch, the feature channels, right now, someone is playing resident evil. It’s a horror a game. 7,608 people are watching him. someone’s playing FIFA. Looks like they’re having a FIFA champion or something like that. Yeah. The soccer game. Yeah. 50,000 people watching someone play soccer and watching kind of a tournament bracket. Go on. Okay. Fortnite, you know, there’s a few thousand people always watching it and , any given Fortnite channel, someone’s going to be watching. So the numbers are out there, the people are out there and they’re on the platform. They’re on twitch. Right? So yeah, it’s that you got to go out there. Chris said it as well. Ministry fills needs, you do whatever it takes to bring people to Christ. You step out and go to where they are. Dave: And if you think that this is a fad, that this is a, a passing thing. if you’re my age, I’m in my mid forties. I was here when, when it all started, you know, when the video game stuff started. Okay. I remember going to the arcades, you know, we’re going to chuck e cheese and getting $5 worth of tokens and playing all this for us. So, so these things had been around for 40 years. Okay. But then on top of that, you know, esports is a huge thing now. I mean, it, it is going to be as big as major league baseball as the national football league as Nascar. It is growing and growing and growing esports here in Arlington. Okay. Across the street from the stadium, the big, you know, like two blocks over from, from at and t stadium, from the Texas Ranger ballpark. Dave: We have the largest esports arena in the country. Okay. Here in Arlington, Texas. Okay. And they have gigantic screens and people come in from all over the world and they connect remotely to play with the people that have come in from all over the world. And dude, these gigantic tournaments, this is a part of our culture. From now on you can say it’s good, you can say it’s bad. Just be sure you, whatever. Okay. If you’re going to say it’s bad and we don’t need to be doing it, then you need to say the exact same thing about every other piece of entertainment on the planet. Okay? So the reality is it’s here, it’s not going anywhere. It’s growing. And there are people like you and me and my daughters and my dad and Justin’s dad and everybody else who likes to play a game of some kind. Justin: yeah. So James said, you don’t even have to be good. This is James On livestream, You don’t even have to be good at gaming, right. To bring people and they’ll come if they feel welcome, right. They’ll come if you let them feel they belong. So if you want to get started, you don’t have to be great at gaming. You just have to kind of know your way around and play your favorite game. Number two, you have to get started with some of this live streaming stuff and you can go out and find millions of hours of youtube videos on it, but you gotta go find it, find it yourself. It’s not compiled into one place and it’s not specifically geared towards ministry. 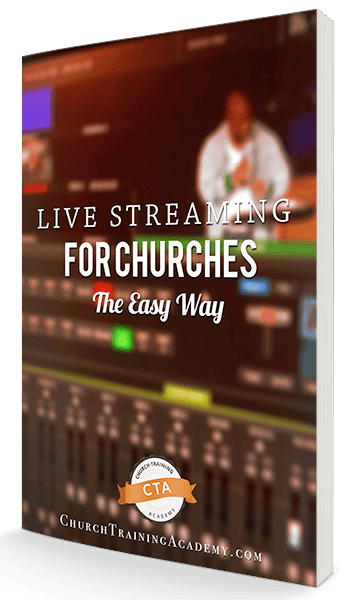 Dave, tell us where can we find livestreaming training geared towards ministry for a limited time, low price. Dave: You can come ChurchTrainingAcademy.com/join that’s churchtrainingacademy.com/join you can learn how to do this. You can learn how to do live streaming, church communications, all that kind of stuff. If you go to churchtrainingacademy.com/join and at at the time of this taping, I don’t know when you’re, when you’re watching this, but at the time of this taping as we’re rounding out January of 2019 it is still for the monthly price of $27 a month and starting in February the price’s going up to $37 a month. So if you want to save 10 bucks, go ahead and get in. Now, if you’re watching this six months down the line, you missed it. Sorry. Sorry. We’ve, we’ve upped our price and it’s still a huge bargain at $37 a month. So we would love for you to come and become a CTA insider. Dave: Go to churchtrainingacademy.com/join you’ll be able to see all the wonderful things that we offer our insiders. and that list is growing as we go deeper and deeper and deeper into this, our ministry, our business, teaching everybody how to use and exploit media and technology to take the gospel to the world. Pastor SouZy is not the only person out there who is ministering to folks through twitch and through other online platforms and stuff. And I, I encourage you to investigate this and other, I dunno, counterculture in some cases, ministries that are out there, but if you like this, be sure to leave a comment below. If you have questions, be sure to leave a comment below. And if you want to learn how to do more and more and more than checkout one of these videos over here, we’ve got things on it. We’ve got training, we’ve got shows, we’ve got interviews, we’ve got, you know, tips and tricks and all that sort of stuff right here on our youtube channel, right here at churchtrainingacademy.com. So be sure to check out all the things that we have to offer and take the things that you’re learning and use them to go out there and change lives.